Egypt denounced the critical reactions that poured in after a Cairo court referred ousted president Mohamed Mursi to the Grand Mufti, saying on Sunday that comments on the trial reflect “ignorance”. On Saturday, the Cairo Criminal Court referred Mursi and 105 other defendants to the Grand Mufti to issue his opinion on handing them death sentences, for escaping from a prison. A referral to the mufti is a step that must be taken within Egypt’s court system ahead of handing a death sentence. In response to global reactions, the Egyptian State Information Services (SIS) said in a statement that the defendants are not being tried in “exceptional courts” and that all litigation procedures are guaranteed in order to ensure that trials are fair. Criticism was leveled by several groups and countries, including the pro-Mursi Anti-Coup Alliance, the Palestinian Hamas movement, international watchdog Amnesty International, Turkey and the United States. Egypt’s Foreign Ministry said it has followed the reactions with “extreme disappointment”. In an espionage case, where Mursi is also a defendant, the court also decided yesterday to refer 16 defendants to the Grand Mufti to give an opinion on sentencing them to death but a decision on Mursi’s fate in this case and 19 other defendants will be issued on June 2. SIS said in its statement that comments on the court’s decisions show “inaccuracy”, given that the judge has not issued a verdict in either of the cases. It said that in case death sentences are issued, the defendants have the right to appeal before the Court of Cassation, adding that the prosecution will appeal the decision, even if the defendants do not. Mursi, who climbed to power becoming Egypt’s president in June 2012, was eventually ousted after a year at the hands of the military, following mass protests against his rule. He has since been accused of several charges and stood as defendant in various trials. He still faces trial for insulting the judiciary, as well as a separate espionage case. 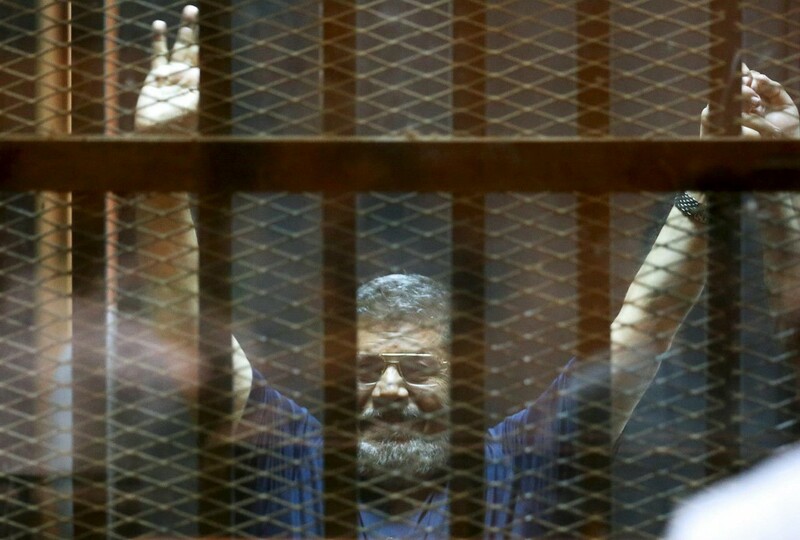 A Cairo court sentenced Mursi last month to 20 years of maximum security prison for charges of show of force and detention associated with physical torture during deadly protests in 2012. He was nevertheless acquitted of murder charges. Since Mursi’s ouster, Muslim Brotherhood leaders and prominent figures have often found themselves behind bars and facing courts. He and his support base consider the power change which saw his removal a coup.